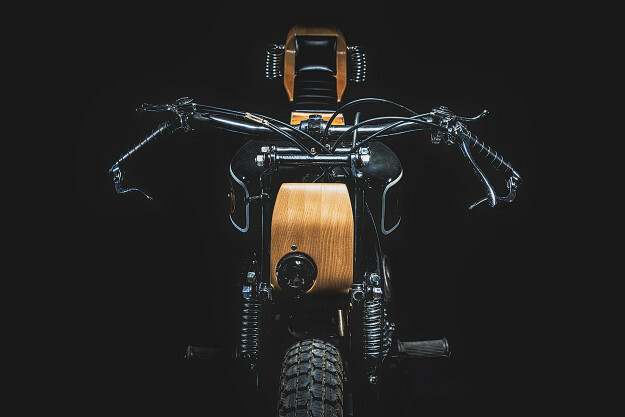 The enigmatic Frenchman refers to himself as “an artist, working with wood, and in love with motorcycles,” rather than a ‘customizer.’ And yes, ‘George Woodman’ is a nom de plume. 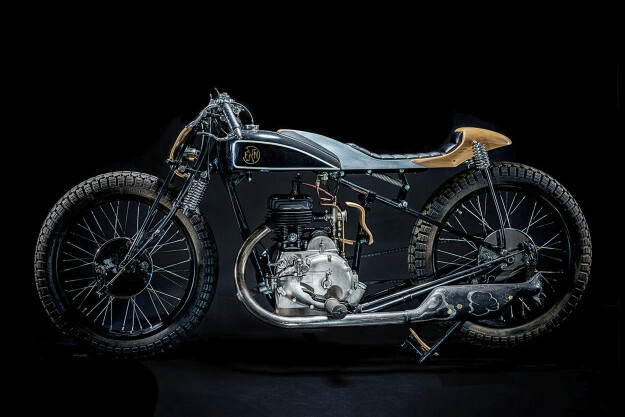 This is Sébastien Valliergues’ fourth build, and it’s one of the rarest bikes to ever grace these pages. 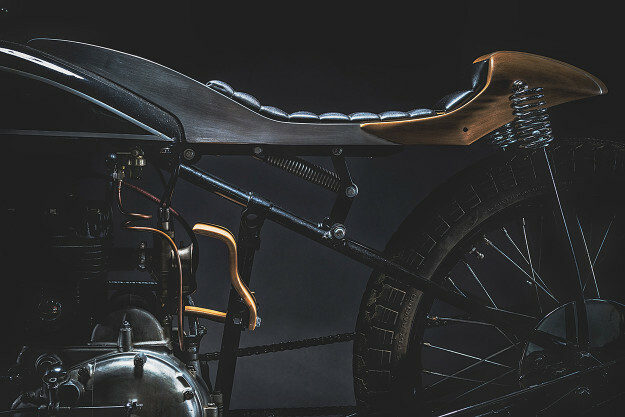 You’re looking at an FN Type M70B—a 350cc single produced in 1929 by Fabrique Nationale d’Herstal. 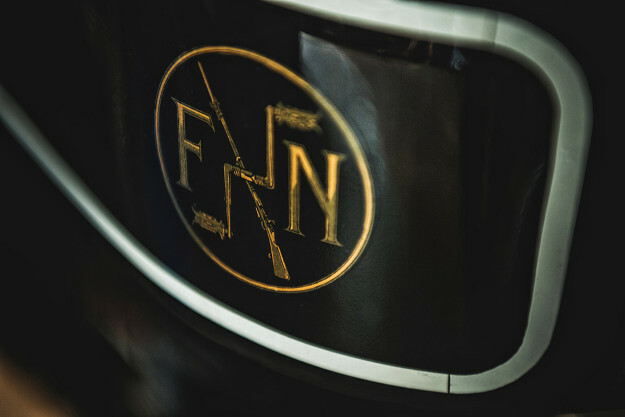 FN is a Belgian armaments manufacturer that’s been in business since 1889. 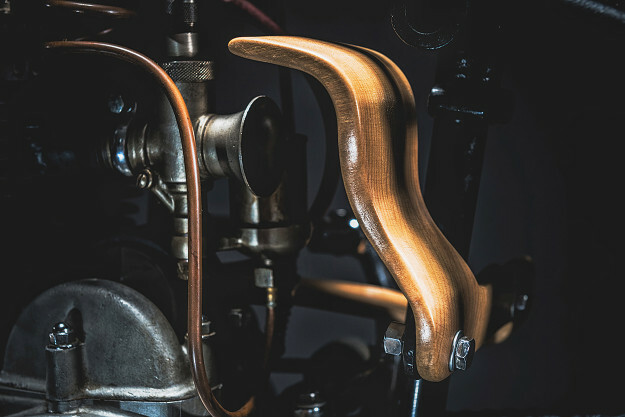 They produced motorcycles from 1901 until the 60s, including the famed FN Four—the world’s first production four cylinder motorcycle. He’s pulled it off in spectacular fashion. Rather than detract from the FN’s inherent vintage appeal, the wooden additions have made it all the more alluring. And they formed the bulk of the project’s timeline, with Woodman painstakingly shaping each piece by hand. 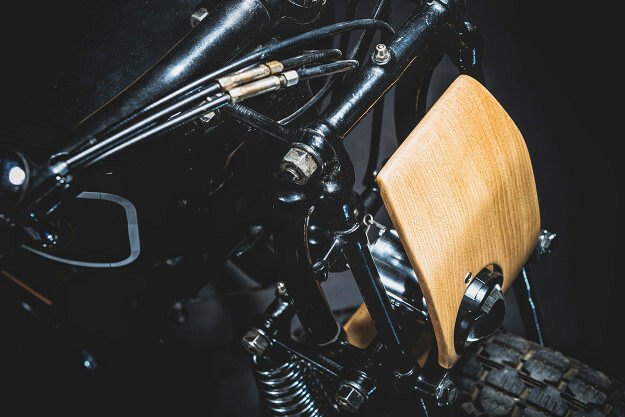 The centerpiece of the build is the new seat unit—a wood and aluminum sandwich with a dollop of leather. It’s sitting on a custom-made hinge-and-spring system, with the original seat springs re-purposed out back for a little extra compliance. 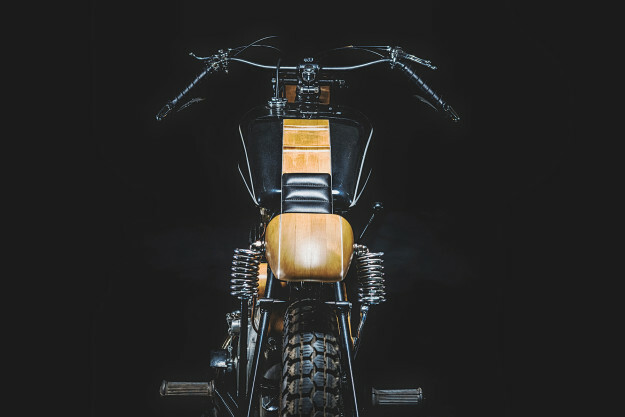 Woodman’s continued the wood theme with a neat headlight cowl and some smaller pieces—like a protector plate for the velocity stack and a nominal rear fender. Thanks to the previous restoration job, the engine hardly needed any work. 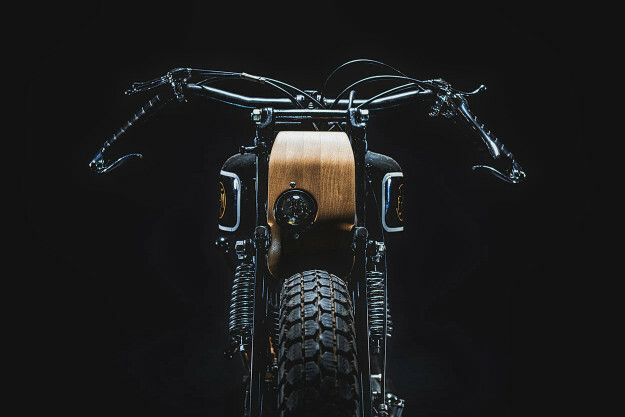 Woodman simply added a Lithium-ion battery and a basic wiring circuit—to run the new head and tail lights. And he’s fabricated an aluminum hanger to keep the stand up when riding. 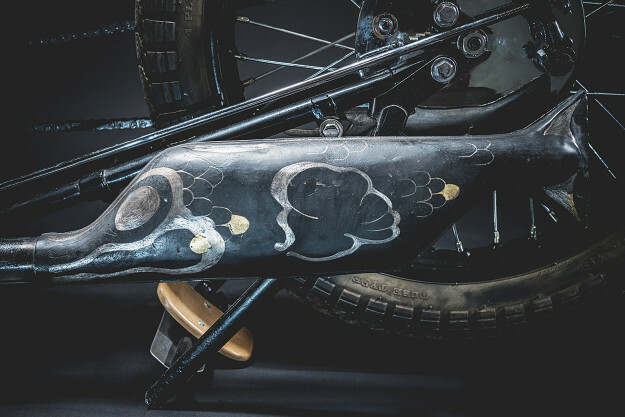 As a finishing touch, Woodman has etched an artwork into the black paint of the FN’s fishtail exhaust, earning it the nickname ‘The Smoking Black Fish.’ The hints of gold are from earlier repairs, made at some unknown point during the 87 years of the FN’s life. It’s a tiny, unexpected detail. But it’s one of many that make this Fabrique Nationale trés superbe, as the locals would say.